Deri grants temporary residents' visas to yeshiva students and their wives, lengthens validity of student visas. Interior Minister Aryeh Deri (Shas) ordered the Interior Ministry and Population and Immigration Authority clerks to allow yeshiva students from abroad who are eligible for Israeli citizenship to receive student visas. In addition, Deri lengthened the validity of student visas to five years instead of two. 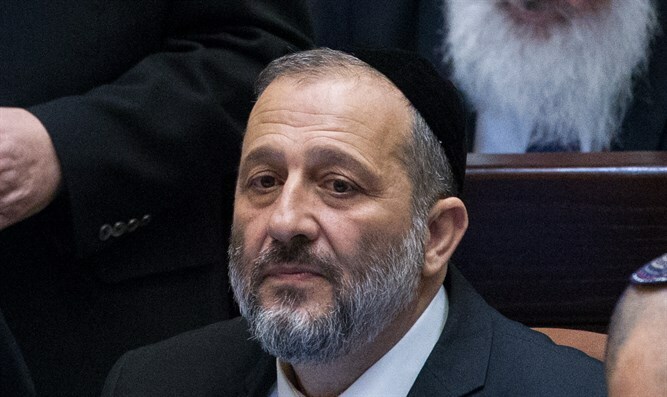 Deri also ordered the offices to grant temporary residents' visas to those married to yeshiva students, allowing them to receive social benefits. Previously, a yeshiva student was not considered a proper student, and therefore the spouse of a yeshiva student was not eligible for a student companion visa. Deri's decision will grant A-1 visas to yeshiva students' spouses, and will allow them to immediately begin receiving Israeli social and health benefits. This will apply whether the student is a citizen of Israel or is in Israel on a student visa. "This is an important revision," Deri said. "I am happy to make life easier for Torah students who come to Israel to study Torah. They will no longer have to bother renewing their visas and bringing in documents every two years. It's also important that the wives of these yeshiva students be able to live in Israel and receive social benefits."